Multitasking is less productive than doing any given task individually. Five o’clock rolls around, but it is not quitting time. You will be lucky if you get out by six, 6:30 at the earliest. When 8 pm rolls around, you slam your head against the keyboard because you are still not done. It is no shocker that many are overworked, nearly to the burnt-out phase (if they are not already there). But what if you could do more work in less time, leaving more time for family, hobbies, and sleep? It may sound too good to be true, but science disagrees. 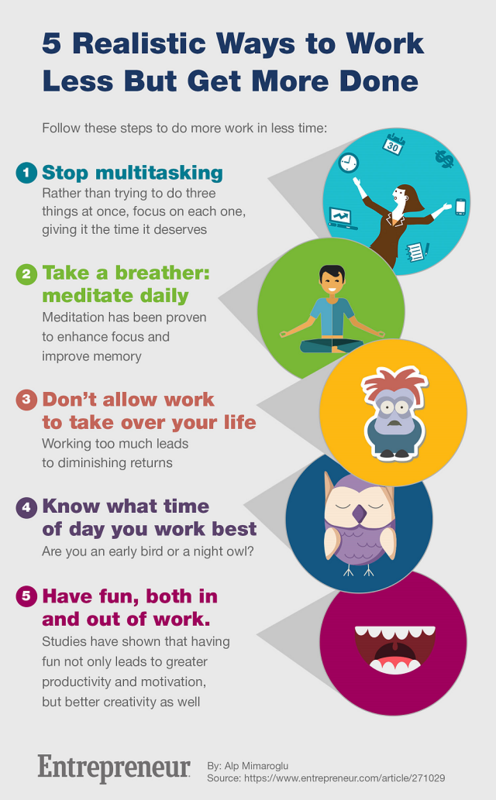 Here are 5 study-backed methods to be more productive at work that are very realistic and doable. Mostly have smartphones these days. While this has made communication far easier, it also resulted in a generation for which multitasking is a virtue. Many people believe that multitasking is the most efficient way to do things. What is the solution? Intentionality. Rather than trying to do three things at once, focus on each one, give it the time it deserves, and you will find that you can get a whole lot more done. 2. Take a breather: meditate daily. Just as multitasking lowers productivity and IQ, doing the exact opposite can actually increases productivity and IQ. Meditation has been proven to enhance focus and improve memory. A study at the University of Kentucky found that meditating may actually restore synapses, which helps with not only memory, reasoning, and productivity, but the aging process itself. 3. Do not allow work to take over your life. 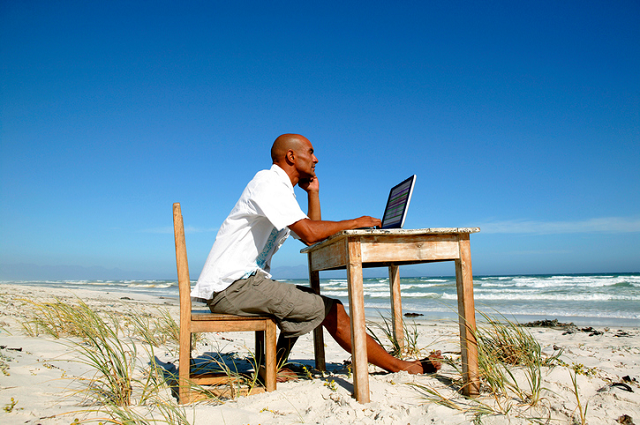 Did you know that the most productive people are those who do not always focus on work? Sounds counter-intuitive, right? Yet people who do not compromise their work-life balance and their hobbies are actually more productive and successful than those who do. This is not that surprising. Plenty of studies have shown that working too much leads to diminishing returns. Just like robots, even the biggest workaholics need to be recharged once in a while. That means setting aside some time for non-work-related pursuits. 4. Know what time of day you work best. Are you an early bird or a night owl? According to science, the answer matters. And part of it has to do with your body temperature. As it turns out, people tend to work best when their body temperature is high. And different people have different peak times for temperature throughout the day. How can this help you? Do not squander your high-productivity periods with meetings or relaxation, save them for nose-to-the-grindstone work. Related: Flexible Schedules Help Create a Healthier Workplace. Here's How. 5. Have fun, both in and out of work. “Fun.” Sometimes we get so buried in work, we forget that beautiful 3-letter word. But we could all use a little more fun. Studies have shown that having fun (both inside and outside of the office) not only leads to greater productivity and motivation, but better creativity as well. It goes deeper. People believe more in people who like to have a good time. According to a recent survey, 84% of people believe workers with a sense of humor actually do better in the workplace. Raise your hand if this story sounds familiar. You get back from vacation, and a colleague points out how many holidays people get in that country. Then they brag about how little time off they take by comparison. Do not be that person. Instead, go and enjoy life when you get off work today. Not only will you have a blast—you will be better at your job, too. This article and infographic originally appeared on Entrepreneur.com. Minor edits have been done by the Entrepreneur.com.ph editors.